A moose attack in an Eagle River neighborhood, which sent a woman to the hospital with serious injuries, was just one of eight run-ins with Anchorage's most visible urban animal resulting in injuries in May, officials said. 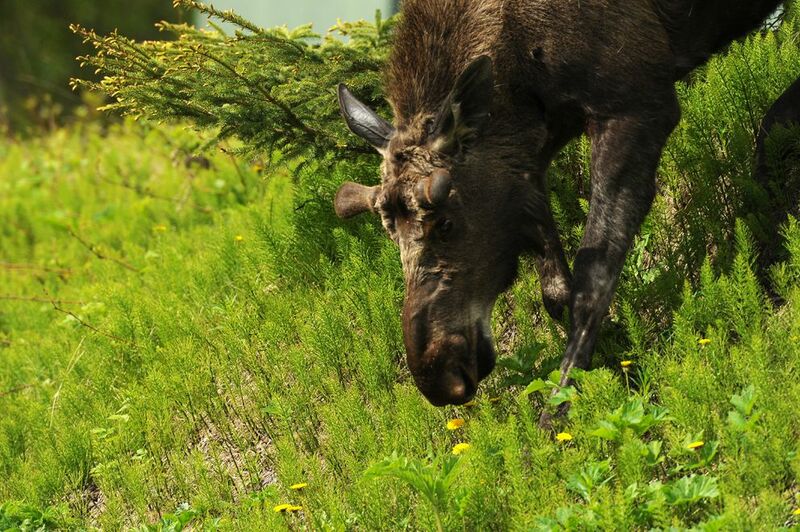 The woman was either jogging with or walking her dogs in the Eaglewood subdivision on May 22 when she got too close to a cow moose and its two calves, said Alaska Department of Fish and Game wildlife biologist Dave Battle. "She didn't have time. … The moose attacked her, and came back twice, which is why she was injured so badly," said Eaglewood operations manager Mark McAllister. Anecdotally, eight moose encounters resulting in injuries is a lot, said Fish and Game public information officer Ken Marsh. There may have been more encounters, but many go unreported, as is often the case with wildlife incidents, Marsh said. "I suppose it's because it's that time of year," he said. "People want to get out and about, hiking and biking, playing in the woods and greenbelts. It also is the time when the moose give birth to calves." A majority of the injuries consisted of bumps and bruises, but some were more severe. The most serious injuries involved the woman at Eaglewood, Battle said. The first two incidents of the month occurred May 15 on the north end of Kincaid Park soccer field 4. 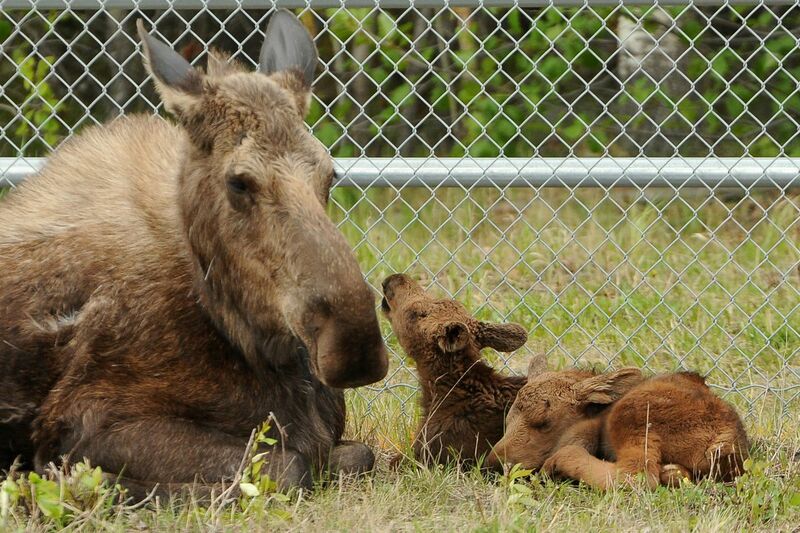 A witness told park officials there was a mother moose with two calves, said Kincaid recreation supervisor Brad Cooke. Cooke categorized the encounters as "negative incidents," meaning the moose acted aggressively. The moose did so toward two groups of people, he said. The groups were walking, not riding bicycles, he said. Signs were erected around the park at the beginning of the season warning of moose calving season, and secondary signs have been placed near the sites of several wildlife encounters since, he said. A third incident, an attack involving a cow and calf, took place May 20 at the Davenport Fields, in the area of Airport Heights and Chester Creek. A man was walking on a path near Chester Creek in an area with thick vegetation around 8 p.m. when he came face-to-face with the moose, according to Fish and Game. The department's report did not include further details. The fourth encounter of the month listed by Fish and Game notes the Eaglewood subdivision incident May 22 and then a fifth and sixth encounter, each happening either in the days before or after the woman was sent to a hospital. The Chugiak-Eagle River Star, which first reported the moose attack, spoke to the woman's brother, who told the paper her injuries were severe enough to put her in an intensive care unit. He said his sister was "hanging in there." McAllister, Eaglewood's operations manager, said the two other encounters in the neighborhood involved residents getting charged and "clipped" by what was likely the same cow moose involved in the more serious attack. The moose ended its aggression after charging, though, he said. McAllister described the subdivision's paths as "hallways" — walkways with thin greenbelts up against the fenced yards of homes. There is no room to get around moose if people run into one on the paths, he said. He posted on the Eaglewood Facebook page, telling people to be cautious, but said homeowners will likely still use the paths as that's one of the reasons people choose to live there. A seventh encounter happened back in Anchorage behind South Anchorage High School on May 28, according to Fish and Game. A father and son were in the woods, off the walkway looking for a potential new path, when they came across a cow with twin calves, Battle said. "He reported that he butted heads with the moose when it ran past or into him," Battle said. "He had a bruise on his head." The eighth and final encounter happened two days later, off of Mainsail Drive, a residential street in South Anchorage. A cow and two calves were trapped in a woman's yard, and she tried to open the gate to free them but was charged, Battle said. Calving season has not ended, Battle said. Moose will also remain protective of their calves throughout the summer as the young animals cannot yet protect themselves against predators, he said. "Simply put, if a moose has calves, keep your distance."